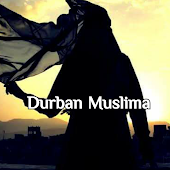 Durban Muslima: ATTENTION ALL MUM'S AND DAD'S OUT THERE!!! Arctic Amanzi has decided that it's time to make your lives easier. How you may ask? We have decided to launch a campaign called "Keep your child healthy"
What is this about? We all know that children love having drinks available to them at all times and guess what? We now deliver bottled water to your door. The days of running around buying drinks between household chores and after work stops can now come to an end. Your child will have easy access to bottled water. 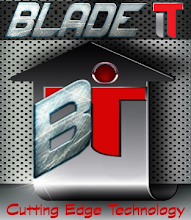 Why not contact us and give it a try. Nothing ventured , nothing gained. Water is the healthiest drink for adults and children alike. Minimum order of 60 bottles (10 packs) at R17.50 per pack and free delivery to all houses based in central Pietermaritzburg. And thats not all - with very order of 10 packs - we give you one pack free just to show you how much we care!!! To mums out there in Durban, we have not forgotten you and yes we will deliver to you as well but at a small transport charge of R75 per order (delivery for central DBN only). So for only R250 you will get 66 x 500ml bottled water delivered to your door. Keep your child hydrated the healthy way!!! For further enquiries, please contact the Arctic Amanzi customer care number on 076 950 6657 or email info@arcticamanzi.co.za.